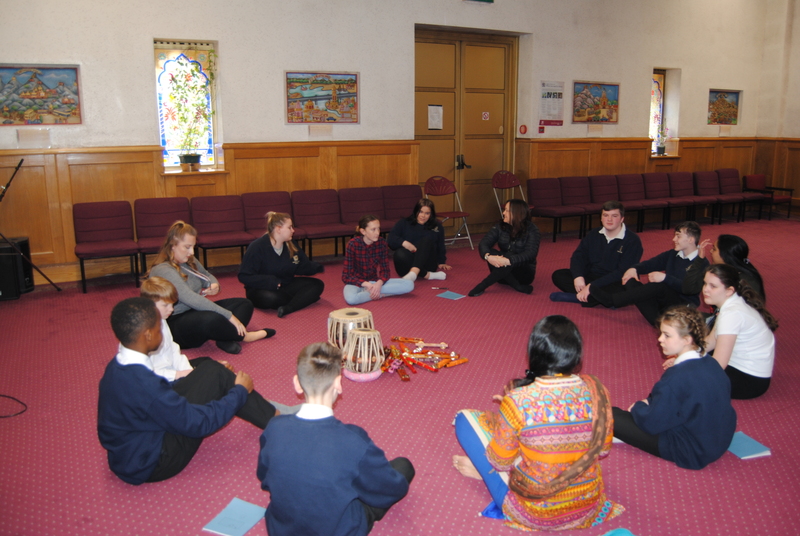 Waterloo Lodge School’s Religious Education visit with year 8’s and 11’s to the Gujarat Hindu Society. 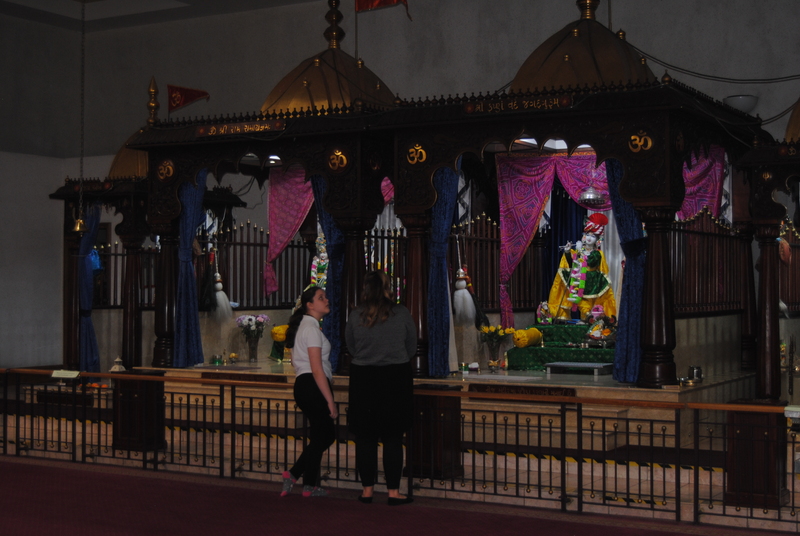 In the course of their termly topic of Hinduism, pupils from Waterloo Lodge School were taken to the temple in Preston, Lancashire. As pupils entered the temple they were asked to take off their shoes as a sign of respect. Pupils were then guided through the temple where the 3D images showed life of a village and the different roles of individuals. Pupils sat in a circle in the middle of the hall and different seating positions were shared amongst the class. Jagruti (the volunteer) showed the individual gods and goddesses statues to the pupils within the temple, explaining each individual in further detail. Pupils asked question’s regarding what they saw and knew from their knowledge in class. Pupils were amazed at the ceiling illustrated images of different gods and goddesses in their different forms. More of the pupil’s questions were answered and an excellent discussion and understanding was created. Jagruti then allowed pupils to play instruments as music is a way to reach god according to Hinduism called bhajans (hymns). Pupils enjoyed creating noises within the temple given the acoustics. An offering of fruits was taken by the school as a sign of respect. Prasad was then enjoyed by all the pupils. When leaving pupils were then given some treats as a thank you for attending.